Plant starts ordered here are for central Illinois pick-up only. We do not currently support pick-up of pre-ordered items at the Evanston Farmer's Market, where there will be plenty of plant starts available for on-the-spot purchase. This page is designed to help our Central Illinois customers browse, order and pay for plant starts during March and April. Pick-up will happen in late April or early May on a specific day as follows. Note that dates are tentative because growing conditions vary from year to year. Morton Friday, April 26 from 6-630pm, 126 North Indiana Ave. I (Teresa) will send you an email with final instructions in late April. Happy browsing and ordering, and feel free to email me if you have any questions. Quantities are limited, so get your order in early to make sure you get the varieties you want. First ordered, first served! If I have run out of a particular variety, I will sometimes substitute a similar variety, which you then have the option of taking or not. If you do not want the substitution, I will provide a cash refund when you pick up your starts. All of our plants are grown using organic practices. No chemical fertilizers, fungicides, herbicides or neonicitinoids are used and certified organic seeds are used when they are available. No seeds patented by Monsanto are used. For more information about our practices and tips for growing our plant starts in our garden, read our FAQs below. If you are unsatisfied for any reason with your plants, please notify me within 2 weeks of receipt and I will replace them or give you a refund. Should I plant my peat pot in the ground? No. Even though the peat pots are biodegradable, the roots of the plants have a hard time penetrating them. Gently tear the peat pot off before transplanting your plant into the ground or a container. Should I plant my coconut coir pot in the ground? Yes, you may plant your cocopot directly in the ground. The spaces between the fibers are large enough for the roots to make their way through them and into the surrounding soil. Can I grow my plants in containers? It depends on the plant — see details below. All plants grown in containers need more attention than plants grown in the ground. 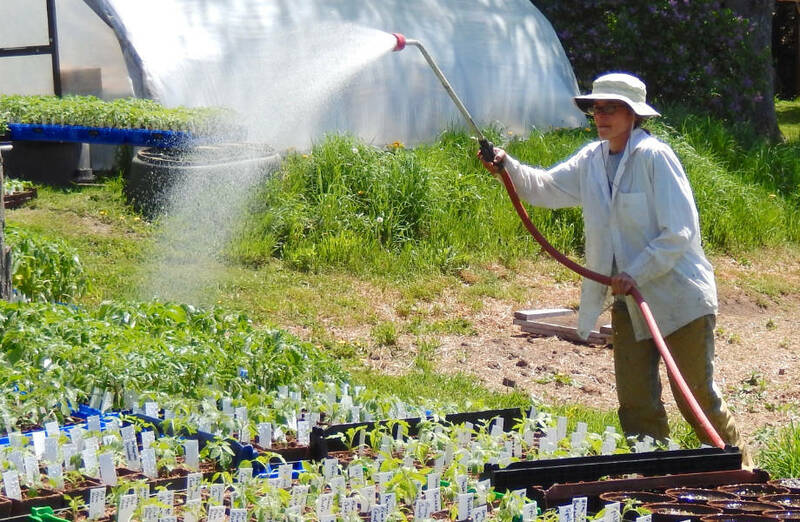 Most still need full sun and special attention needs to be paid to watering and heat. 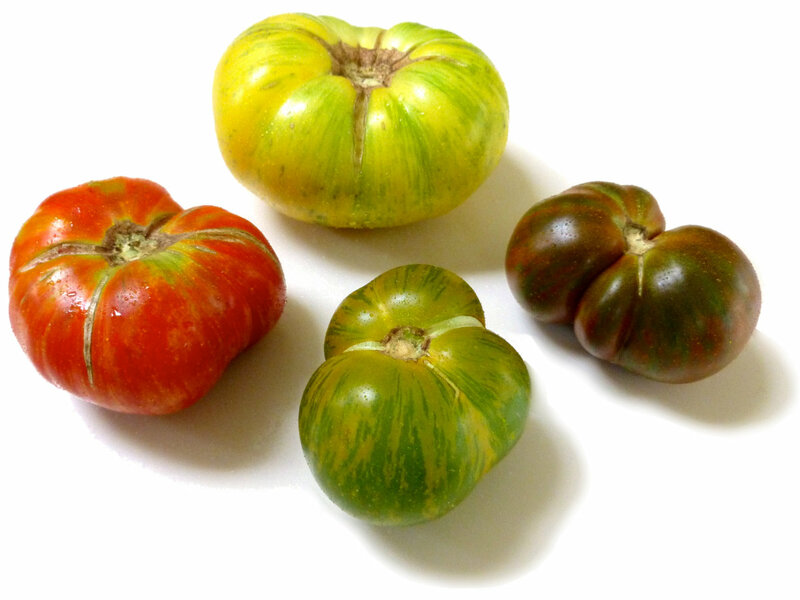 All of the Dwarf Tomato varieties are suitable for container growing, but the container should be large, preferably at least 5 gallons for each plant. These tomatoes will also need support such as a tomato cage or trellising. Many customers successfully grow cherry tomatoes in large containers with supports. Most annual herbs can be grown in containers. Greens such as lettuce, Swiss chard, and kale can also be grown in containers, but they need to be large containers. Some varieties of peppers, eggplants, and cucumbers can be grown in containers. Read the descriptions to find out which ones are suitable. Can I grow my vegetables in partial shade? Yes, but we do not recommend it. All herbs and vegetables are happiest in full sun. They will not die in partial shade, however they will grow tall and leggy and make fewer leaves compared to stems. Fruiting plants such as tomatoes and peppers will not flower as much and therefore will not produce as much fruit as plants in full sun. Herbs that can tolerate partial shade include parsley, cutting celery, all mints, and thyme; however, they will grow taller and spindlier. Anything special I need to know about planting cilantro and dill? Yes. Glad you asked. When you order these plants you get a really good deal because there are 5 to 20 seedlings per pot. It is very important that when you transplant these seedlings to your garden or your container, you separate the seedlings out. If you do not, they will grow tall, flower, and then die quickly. To separate the seedlings, remove the peat pot and divide the soil into 5 or more clumps of seedlings (or individual seedlings if you have the patience) and plant them 3-6 inches apart. Anything special I need to know about planting planting swiss chard, lettuce mix, and arugula? Yes. 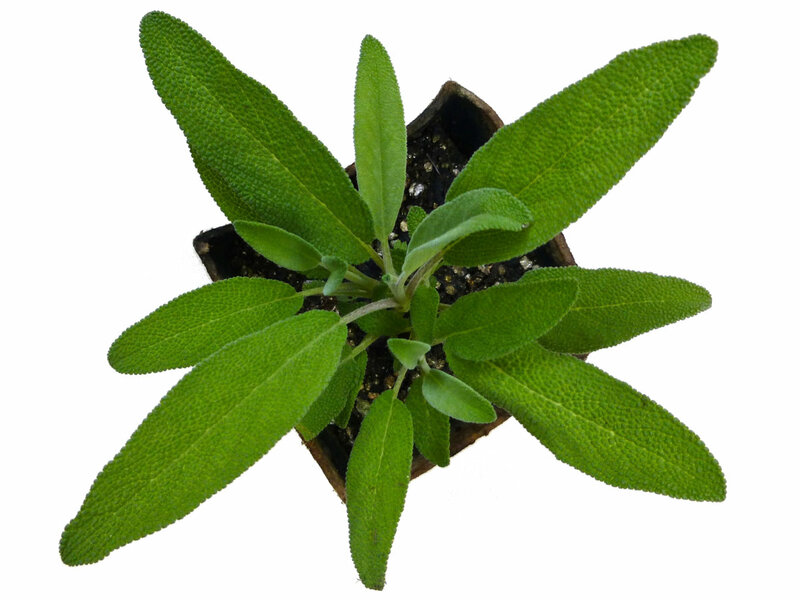 When you order these plants you are getting a good deal because you will have 10 to 40 seedlings per pot! When you transplant these seedlings to your garden or container, it is very important that you separate the seedlings out. If you do not do this, your seedlings will quickly grow tall, then die. For the Swiss chard, remove the peat pot and divide the soil into 5 or more clumps (or individually if you have the patience) and plant them 8-12 inches apart. For the lettuce and arugula, divide in the same way, and plant the clumps 3-6 inches apart. Should I plant my seedlings right away? In general, yes, but read more about cool- and warm-weather starts below. We "harden off" all our plants, so they are used to being outside in the wind and the sun when you get them. However, the weather does not always cooperate and whether you plant your starts in the ground right away or wait a bit depends on the kind of plant and the weather. In general, all of the cool weather plants (brassicas, lettuce, chard, arugula, and most of the herbs) can and should be planted right away. (See herb exceptions below.) They are used to the cool weather and need to get in the ground so their roots can grow and catch up with their tops. All of the warm weather plants (tomatoes, peppers, eggplants, cucumbers, squash, ground cherries, tomatillos, basil, lemon verbena, nasturtium, papalo, shiso, and stevia) should be planted outside when the night-time temperatures are consistently above 50 degrees F. If it is warm in the daytime, but still cold at night, put your plants outside in the day and bring them in at night until it warms up. If you go ahead and plant outside and then it gets cold, cover your plants with a pail at night and uncover when it warms up in the daytime. The most cold sensitive of all the plants are the cucumbers, so make sure the nights are warm before you plant them outside. How deep should I plant my starts? Plants with basal leaf arrangement are those whose leaves grow in a tight cluster or rosette at the base of the plant near the ground, such as cilantro, dill, and lettuce. These plants should be planted deep enough that the plant does not flop over, but not so deep that the center of the plant where the new leaves are growing from, gets covered up with soil. In general, this is usually about ¼ inch to 1 inch deeper than it was in the pot. Nodal Plants are those whose leaves are arranged along the stem with sections of stem (called internodes) between leaves or sets of leaves. These plants can be planted almost as deep as you want. If the plant is still small and looks healthy, plant it up to 1 inch deeper than it was in the pot. If your plant has been in the pot too long and has become tall and "leggy,” then you can plant it several inches deeper than it was in the pot. This may seem like you are burying half the plant and setting it behind, but in actuality, your plant will grow stronger and healthier because new roots will grow along the buried stem. Perennial means the plant will live through the winter and grow again in the spring. Annual means the plant will die in the fall. Annuals need to be replanted every year. However, some annuals such as anise hyssop, catnip, borage, cilantro, and dill reseed easily if you let them flower. “Ind.“ stands for indeterminate, and refers to tomatoes that continue to grow, flower, and fruit for the entire season until a frost occurs. They’ll grow tall and will need to be trellised. ”Det.” stands for determinate and refers to tomatoes that grow, flower, and fruit in a set period of time: usually 2-4 weeks at the peak of the summer. The plant size is also more manageable for many city-dwellers. Peppers typically change color as they grow. Many peppers have been bred to be used for their distinctive flavors at a particular stage of ripeness. 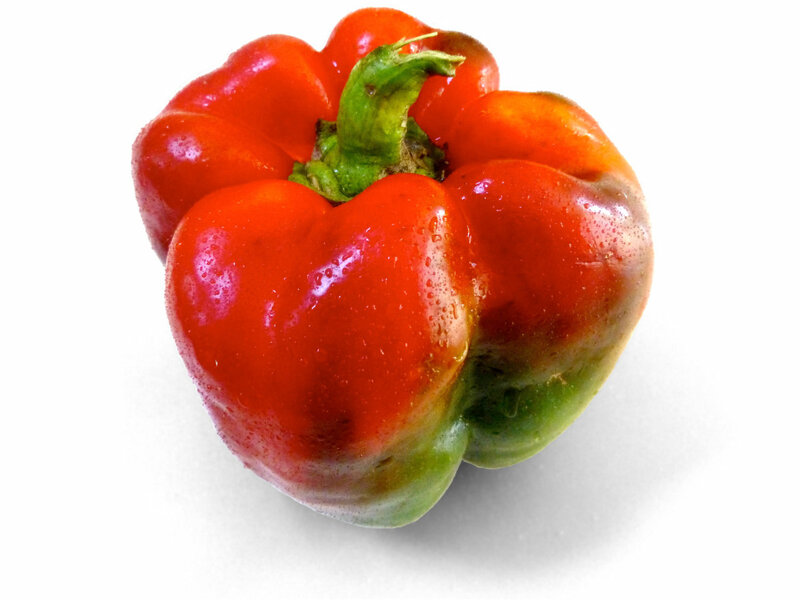 For such peppers, the pepper icon displays the color that corresponds with intended ripeness. Others are bred to be used at multiple stages of ripeness. For such peppers the icons display the color of each stage considered appropriate for use.